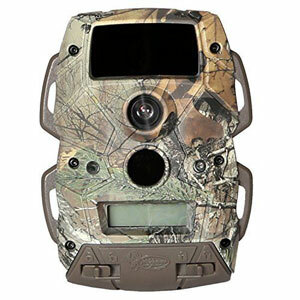 On this website, we have taken a look at many of the best brands of trail cameras. Although each brand does some of the same things that the other trail camera manufacturers do there are subtle differences between them too. Often times these subtle differences are what should make you choose one manufacturer brand over another. One game camera manufacturer that seems to get this right is Wildgame Innovations. What makes Wildgame Innovations brand of trail cameras so popular? Like we said, they pay attention to the little details that some of the other manufacturers don’t. They also have very reasonably priced game cameras for what you get from them. 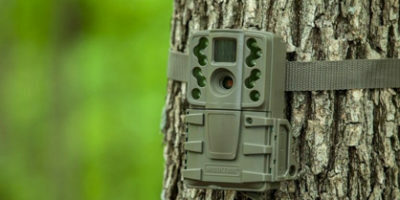 In this article, we will read 6 of Wildgame Innovations best-selling trail camera reviews and also tell you a little more about this innovative game camera manufacturer. Flash Range : 75 ft. Flash Range : 65 ft. Flash Range : 60 ft. Flash Range : 45 ft. 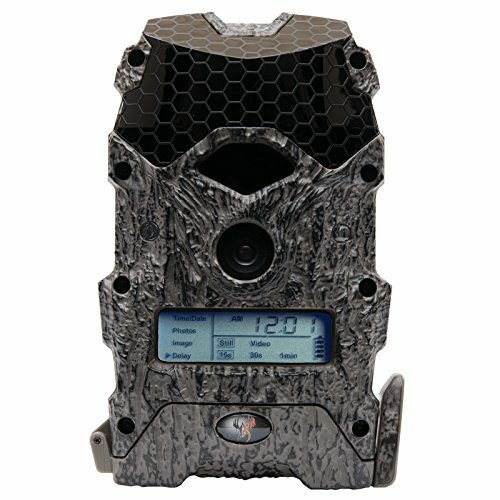 This is a very well-designed trail camera from Wildgame Innovations. It takes a very good day and night photos to go along with high-quality daytime video too. 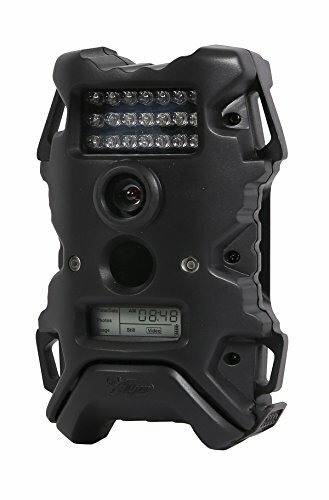 The Wildgame Innovations Mirage 16 Lights-out Trail Camera has excellent 18 megapixels still photo resolution and will shoot 1280 x 720p HD Video with Audio too. There is a lot of stealth ability built into this small but mighty game camera too. Among its stealthiest features are its ultra-quiet shutter system and its undetectable black infrared flash. There are still no worries with it taking nighttime photos but even with a black infrared flash system it still cam illuminate targets out to 75’. Not only is its shutter quiet but it also is activated within less than a second from the time that movement crosses this trail camera’s path. The Wildgame Innovations Mirage 16 Lights-out Trail Camera has a very interesting design too. It looks like a piece of a tree bark when you are not up close to it. So if you match it up to a similar color tree it will be virtually undetectable unless a person is up close to it. There are very few introductory model trail cameras that can be set up and used just a few minutes after taking them out of the box. 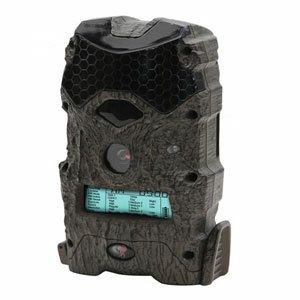 The Wildgame Innovations Illusion 12MP IR Game Trail Camera is the exception to that rule. It’s a very reasonably priced camera that comes with everything you need to get it up and running right out of the box. 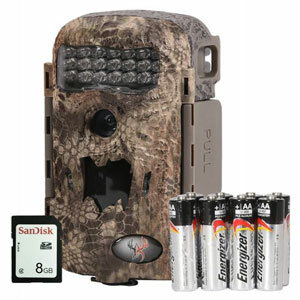 This trail camera even includes bungee cords, the 8 required AA batteries, and even an 8 GB SD card. Getting it up and running out of the box is not the only thing that is easy about this game camera model either. It’s one of the simplest game camera models to program too. That’s due to the innovative flextime software that comes with it. Among its nicer features are such things as its 75’ motion sensing and illumination range. You won’t miss many shots of animals either once motion is detected because it has a fast 0.5-second trigger speed. It also takes good quality 12MP still photos and 720P HD video. The Flextime time-lapse photography feature it has is a big bonus too when scouting for game. It’s not very often you see a trail camera with a black infrared flash for a budget price. That’s exactly what you get with this model game camera from Wildgame Innovations. The thing is, that’s only one of the ways that Wildgame innovations delivered big with this trail cam product. 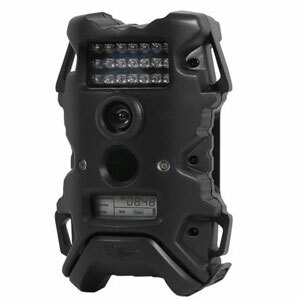 There truly is a lot to like about the Cloak Pro 12 Invisible Flash trail camera from Wildgame Innovations. It has pretty good 12-megapixel photo resolution and takes above average 540P quality video clips too. 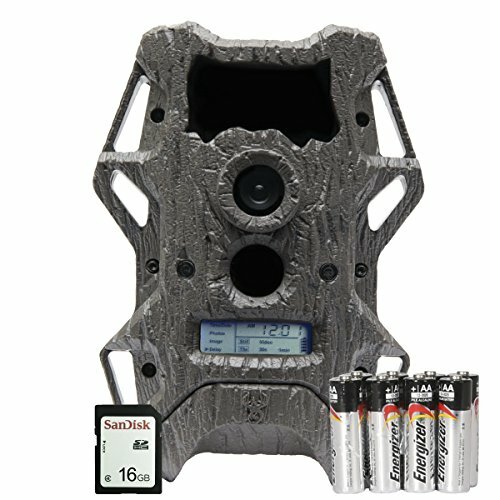 The motion sensing range you get with this game camera is an adequate 65’ and it will snap a photo in under a second when it first senses movement in front of it. This trail camera will not spook game at night when it takes a photo either. It features a nice black infrared flash that is undetectable to both human and animal eyes. With 32 black LED flash bulbs you still get some quality nighttime photos with it too. As an added bonus it comes with its 8 required AA batteries, a good 16 GB SD card and the bungees that are needed to attach it to a tree. If you want just a basic trail camera at an ultra-affordable price then pay close attention to what you read here. 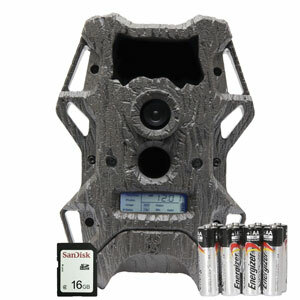 This game camera from Wildgame Innovations is very budget friendly yet still works nice. It’s a basic black model trail camera that is more than adequate for scouting an area for the game or taking a few security photos in a problem area. The Wildgame Terra 8 Trail Camera is capable of taking both day and nighttime photos and it can also shoot up to 30-second bursts of video. For an inexpensive game camera, its 8-megapixel photo resolution and adequate video quality can help you scout for the game or accomplish many other area surveillance tasks with it too. Part of this game cameras beauty is its simplicity. There are not a ton of options you can do with it besides straightforward photo and video taking so that makes it easy to learn and set up. This game camera is also an inexpensive way for you to get your feet wet using a trail camera too without investing a lot of money in gear. If you find scouting for the game this way is useful to you then you can invest in more powerful game cameras at a later time. 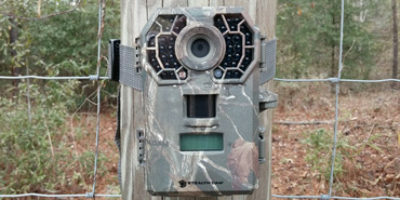 Here is yet another very basic and inexpensive game camera from Wildgame Innovations. It’s not going to wow you with many amazing features but it will more than allow you to adequately scout an area that you want to hunt for game. You don’t need a lot of bells and whistles to scout for the game just some decent photo resolution and a memory card like this game camera has. Don’t mistake the word inexpensive for does not work well either. This basic trail camera has adequate 5-megapixel photo resolution and a trigger speed of less than one second after an animal crosses its path. Its motion sensor will detect movement out to 55’ too. The best feature of the Wildgame Innovations Terra 5 Game Camera is its nighttime photo taking ability. It features 21 lo-glow high-intensity infrared flashbulbs that will illuminate an area up to 50’ in front of this camera. You can set it to take photos immediately when the sensor is tripped or set up to 30 seconds of delay too. This is a well-built trail camera too. It is temperature and weather resistant and its case is made of sturdy polymer plastic. It won’t dent or break easily. It’s rare for a budget trail camera to have exceptionally long battery life but that is exactly what you get with the Wildgame Innovations Cloak Lightsout Trail Camera. It’s affordably priced and if you use it right its 8 AA batteries can last up to 1 year before needing to be replaced. This trail camera will not overwhelm you with its features but it will serve it purpose well despite that. It offers 7 megapixels of photo resolution which is better photo resolution than most cell phones have and they take ok pictures. Among its best features is its nighttime flash system. It has 32 black infrared LED’s that make its powerful nighttime flash invisible. This camera will not spook game or alert anyone to its presence if you are using it as a security cam. The invisible black infrared flash has a 45’ range too. 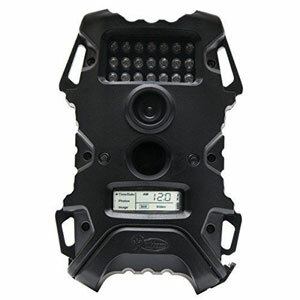 This trail camera also takes 480P video and it has a 60’ motion detection range too. It offers those that use it very easy set up and programming too. Wildgame Innovations has gotten very creative with several of their higher end trail cameras as far as their looks are concerned. They use a lot of camouflage patterns and have shapes and colors that mimic many different types of tree bark. It makes them hard to see when you are not right up close to them. There are several Wildgame Innovations game cameras that are ready to use right out of the box. They include such things as their required AA batteries, an SD card, and bungee cords to fasten them to a tree. It’s a nice bonus not to have to shop for these extras after you purchase your trail camera. Another thing that Wildgame Innovations is known for is how many stealthy features they put into most of their trail camera models. These include such things as invisible black infrared nighttime flash’s, very quiet photo taking shutters and as we previously mentioned their outward appearance is made to blend in with their surroundings on many models. There are very few trail camera manufacturers that offer as many budget-friendly models as Wildgame Innovations does. This is especially nice for those who are new to scouting game with trail cameras and not willing to make a bigger investment in them yet. There lower priced game camera models also tend to work very well. This brand of game cameras offers those that use them some nice advantages. There are a few drawbacks to owning this line of trail cameras too. One of the most disappointing aspects of Wildgame Innovations trail cameras is their warranty and guarantee policies. For one, there is no money back guarantee for a trial period like you see with some trail cameras. The warranty they offer is not very good either. 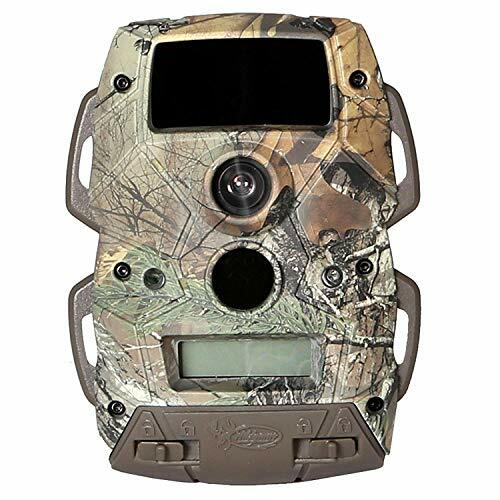 It covers a period of only one year on most of the model trail cams they sell (this is understandable on some of the extremely budget-friendly models they have). Even worse is they require new purchasers to register their trail cams with them within 14 days of purchase for the warranty to be valid. That is not a very reasonable time to do that under most circumstances. When you have a trail camera brand that sells as many units as Wildgame Innovations does it kind of speaks for itself. As you have already read on Wildgame Innovations trail camera reviews, It really is one of the top brand names in the game camera marketplace. Wildgame Innovations also makes many of the best working budget priced trail cameras too. Their cameras tend not to have the highest photo resolution in the game camera marketplace but they excel in other areas. This is especially true when it comes to ease of use, invisible nighttime flash, and other stealth capabilities. They really perform well for the price you will pay for them too. They make a trail camera model that will suit just about every hunter’s need. They are definitely worth checking out when you are looking to purchase a new game camera.